Borja has worked for a number of years in leading American and Spanish tax firms. 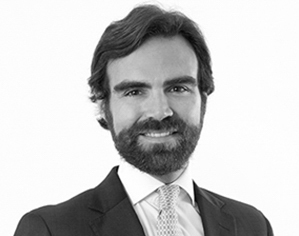 Borja’s practice focuses on advising domestic and international Private Clients and has vast experience on corporate tax, non-residents tax and accounting law. He has been involved in diverse corporate restructuring, real estate investment and private equity transactions. Borja regularly advises international companies, companies’ groups and financial entities in relation to general tax planning strategies, corporate income tax, indirect taxation and tax proceedings.